Product prices and availability are accurate as of 2019-04-19 05:27:08 UTC and are subject to change. Any price and availability information displayed on http://www.amazon.com/ at the time of purchase will apply to the purchase of this product. Hex Bolt (Hex Cap Screw), Hex Nut, Flat Washer and Lock Washer Assortment Grade 8 Yellow Zinc Coarse (USS) - 1025 Pieces. 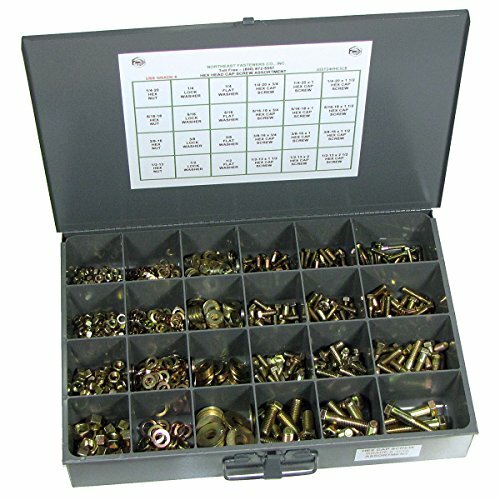 The ASST24HHCSC8 is a large assortment that includes various sizes of Grade 8 yellow zinc lock washers, flat washers, hex nuts and hex bolts. 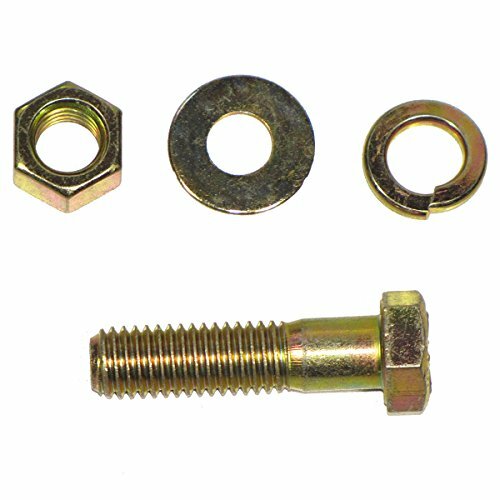 Save big compared to individually priced nuts, bolts and washers. Great for industrial, commercial or home use. There is a total of 1025 different pieces in this set. The assortment includes a large, heavy duty metal compartment box with 24 compartments, locking latch and metal handle. The contents will not spill over to other compartments when closed. • Total weight: 29 lbs. 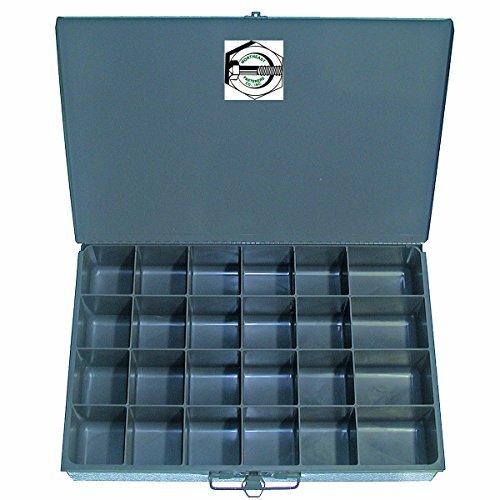 • Dimensions of metal compartment box - width 18", height 3" and depth 12". • Manufactured of prime cold rolled steel and finished in rust and acid resistant baked enamel. • High impact plastic inserts with rounded scoops for easy removal of small parts.